Road trips have always been a major part of my existence. They have the power to help me feel unattached in the Buddha sense. Without fear, without judgement, just very free and grounded at the same time. Everything just seems right on a road trip, even when things go wrong. Its a great time to hone my instinct and let go of petty hang-ups. Road trips are coming-of-age stories and metaphors for life journeys. They take me out of my comfort zone and put things in perspective. My mom has instilled a love of driving since I was a wee tot. Short jaunts out to the farm, spontaneous drives through the hills, a few trips to MI, and big tour of the western US are part of my car travels with my mom. Later I went to school in IN and would drive back and forth from SD. From there I’ve traveled all over the middle and eastern US sometimes by myself and often with friends. 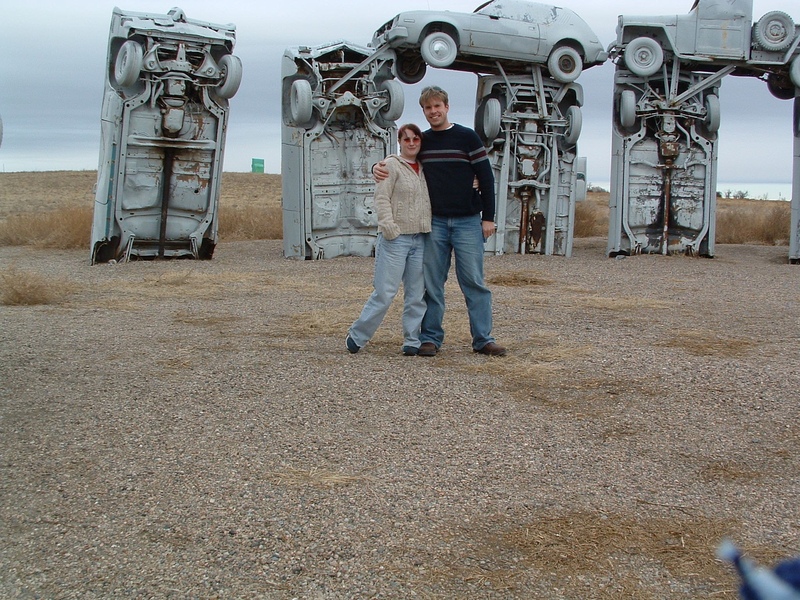 Josh, Adeline, and I have even taken a few fantastic road trips. Sometimes its just me. Once it was me and a pregnant belly taking Adeline to her papa’s in IN and then on to Nashville, TN. Even though the drive through SD can be monotonous, there is never a road trip that I don’t look forward to. Books seem to fall into my lap just when I need to be a part of that story. I remember reading On The Road by Jack Kerouac at a time when road trips had ceased in my life. I felt stuck in life and bored in spirit. The book reignited my passion for life and freedom for my spirit. It helped me to free myself from myself and got me road tripping again. What is it about road trips that bring on the happy? Is it the adventure and excitement? Maybe its the freedom of the a big ol US to explore and being able to choose your own adventure. Or maybe the escape of the day to day which can sometimes bog passion for life down. Perhaps its the quality time with loved ones or just yourself. Its a combination of all those things and its one of the Sanctuaries I find to connect with the Divine.